Director Sarjun, who grabbed everyone’s attention through his short and bold film ‘Lakshmi’ has gained heaps of praises all over with his latest short film ‘Maa’, and is amply rewarded with a film by, none other than Nayanthara. The works of Sarjun has grabbed the attention of the lady super star Nayanthara and she is all set to team up with him for her next film to be produced by KJR studios. It is to be noted that Rajesh J Kotapadi of KJR studios was the proud producer of the much appreciated “Aram”. This combination of a worthy producer, sensational Director and a Heroine who has a larger than life image has created a huge hype in the trade circles already. Visibly elated over the development Director Sarjun says, “ Short films are indeed show reels of any aspiring director. Though my first film “Echarikkai ithu Manithargal nadamadum idam” is already on the floors, my short films, especially “Maa’ has been getting positive reviews and that is when KJR studios Rajesh sir called me and asked if I have any interesting story for a feature. I told him one and never knew it is going to reach Nayanthara ma’am. After that when he asked me if I could narrate it Nayanthara ma’am I was very excited and was even more happy when she liked the script very much. This is a emotional horror film. Even While i was in the process of writing this script i wished to get a huge star/actor for this one and I couldn’t have asked for more than Nayanthara madam. She was very sweet enough to compliment my earlier works. She said she liked ‘Maa’. 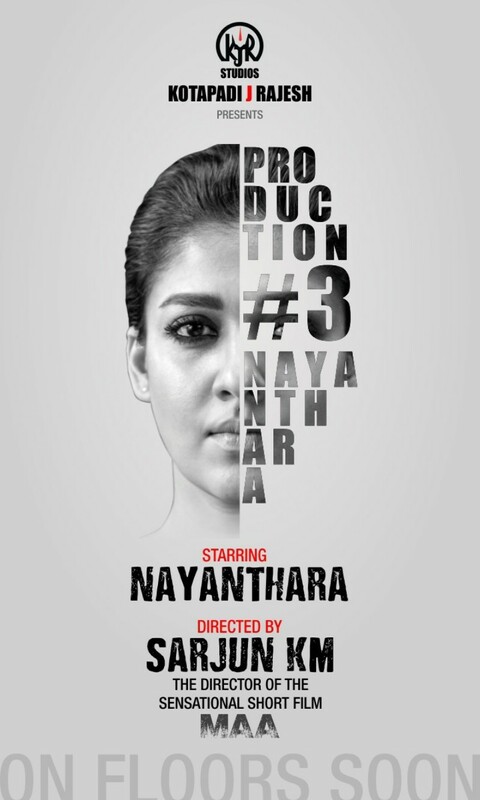 The trust both Nayanthara madam and Rajesh Sir has on me and my script makes my responsibility bigger and i am confident on delivering the right content” concluded Sarjun with Pride.